Meghan Trainor’s, “All About That Bass” is quite the catchy song. The video too, is also really fun. Nonetheless, her “bass” and my “base” are quite different. She likes a little treble with her bass, and I like a little double with my base. I’m all about baseball these days. Especially since, I need to get my tailgate fix somewhere, and baseball games are a perfect reason to tailgate. We love to tailgate the Texas Rangers games. We have the perfect spot picked out. Our area easily accommodates our big group, all of our gear, it has an easy in and easy out, and of course, it’s close to the restrooms. 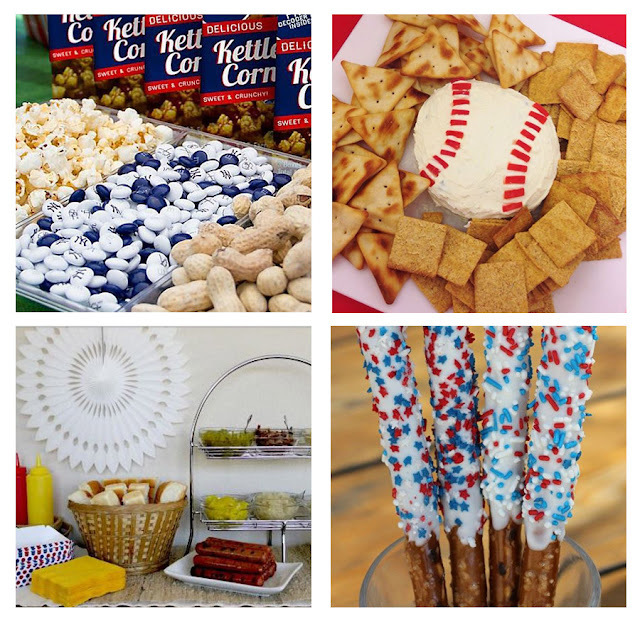 By now, you guys know I love a theme party, so typically when I’m planning a baseball tailgate I stick the classic all American foods. Classic snack tray with popcorn, M&M’s and peanuts. Tailgating in the summer, in Texas, can be very hot, which is why I’m a fan of the apparel from Majestic Athletic. They offer some very “cool” (pun intended) baseball jerseys for women. Their jerseys are made of a new lightweight and breathable material (Cool Base). Anyone attending a summer baseball game knows how hot the temperatures can get. It’s so great to find a jersey that wicks away the sweat. You can pick up a team jersey with your favorite player’s name on the back. Or, they also have personalized jerseys, in case you are the player….play on then. Their women’s jerseys are designed with a feminine fit, which is extra nice. I can’t tell you how annoying it is to find a great sports tee but only in a men’s boxy fit. Majestic has a large selection of MLB teams to choose from. They also have NFL, NHL, MBA and college apparel as well. The company recently promoted Jersey Day and encouraged all fans to support their teams. Sadly my Rangers came in 24th out of 30. Oh well, maybe next year! In the meantime, check out all of Majestic’s sports gear.